REDUCED TO SELL - This historic 1906 farmhouse with its wrap around colonial patio was once a school and has been converted into a beautiful home. Set on 6200m2, the property is positioned in a beautiful kloof behind Robertson and offers unparalleled views of the Langeberg Mountains. The main house offers a spacious master bedroom en-suite, large country kitchen with all appliances included, double volume lounge with cathedral ceilings, a TV room.. all centered around a pretty courtyard. 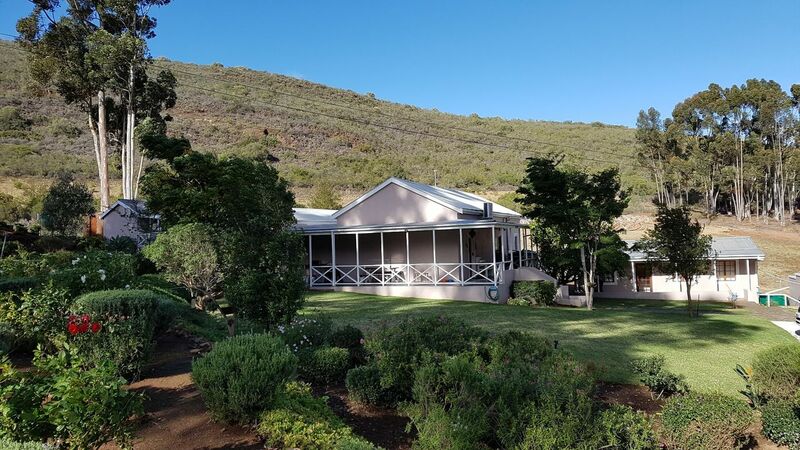 The property also offers two granny flats, both with 2 bedrooms 1 Bathroom, a double garage, above ground cellar with aircon and ample unlimited water supply out of the mountain. Its a beautiful life here and if peace and tranquility is what you are after this is a must see smallholding.